There is no doubt the iPad Mini is a great device. Maybe even better than the bigger iPad because of the small size so you can bring it everywhere. In fact I regret that I didn’t wait for the LTE version because I bring my iPad mini places where there is no Wifi all the time and I get sad. However if you think about it the new iPad mini is right around the corner so I think this would be a good time to say what we should expect and what I want from the iPad Mini. No I do not mean the battery. I mean the processor power. The A5 just isn’t going to cut it anymore. Android tablets are getting quad core processors and while the iPad Mini doesn’t need a quad core because honestly you won’t notice the power but the A5 lags a little bit I can tell it going from the iPad 3 and the iPhone 5 to the iPad Mini. 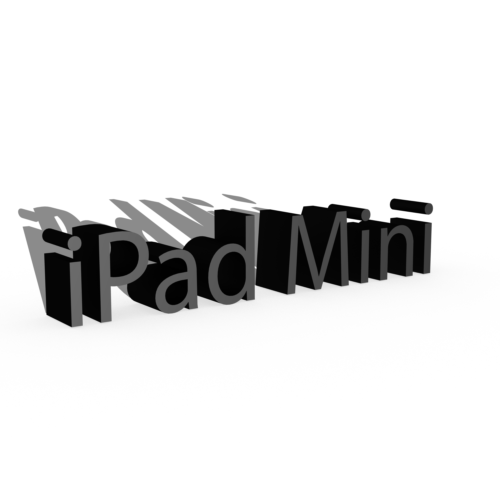 Don’t get me wrong the Mini is fast but I would love for Apple to strap the A6 processor into the next iPad mini. It would solve the problem of powering the retina display that takes a lot of power and battery to power (I will get to the retina display soon I promise). Plus the Mini would be able to load Apps and everything almost instantly. It makes sense to add the A6… I hope they do. 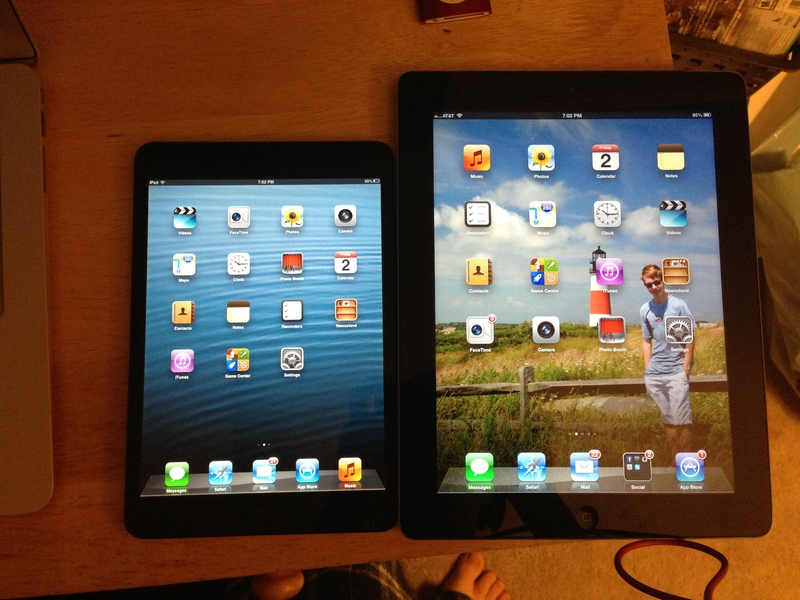 Many people say that Apple won’t put the Retina Display into the iPad Mini. To be honest Apple needs to put in the Retina Display to compete with other tablet makers that have much better screens (kindle fire HD, nexus 7, etc). Now people say that the reason that Apple won’t put the Retina Display in is because there isn’t enough power to power the device and the display without sacrificing the battery life currently in the iPad Mini. Actually this isn’t true. Apple is more than capable of putting a retina display in the iPad mini that will have very little effect on the battery life. The device may be a little hotter than the non retina version (Remember the iPad with retina display came out everyone noticed it was hotter than the iPad 2?) but if Apple was to strap the A6 into the iPad mini with the chips great power management and extreme power the device would be fine. Not to mention the battery life would be close to the same or just a little shorter. The battery of the iPad Mini is the same as all the other iPads that have been made which is very good. I can get a few days on mine but that isn’t using it all day, that is taking notes in maybe one or two classes. I think the iPad battery life is okay at the moment and doesn’t really need to be extended. However the battery might be changed to make it so the retina display can be powered however I don’t see a need to extend the battery life. I like the design of the iPad Mini I do I really do. I don’t love it though. I think this is mostly because the display on the black iPad doesn’t look well. It looks okay but it takes away from the design. The white iPad Mini looks so much better and mostly because to me anyways the display shines more on it. I think Apple can use the same design as they do with the current mini for one more year but then after that they need to change it. If they add a retina display it will make the design almost perfect. That’s just my thoughts though. So really all Apple has to do with the next iPad Mini is add a retina display, add a faster processor, and just a little bit more battery life. However the OS needs a lot of improvement but that is a post for another day.